LINCOLN, Neb. 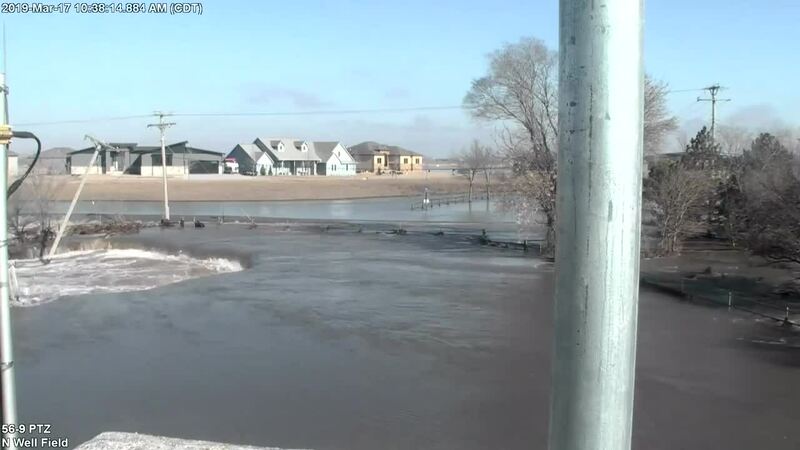 (KMTV) — Incredible video from the City of Lincoln shows the moment water from the Thomas Lakes breach starts flooding the north wellfield for Lincoln's water system. The footage was captured from a security camera located on one of the wells. Between 9:30 a.m. and 11 a.m. on Sunday, March 17, soil was severely eroded by flooding. Electricity poles and lines began falling around 10:25 a.m. and electrical arcs resulting from live power lines in the water can be seen in the footage. This breach added to the conditions that eventually lead to water restrictions in Lincoln. Crews are continuing to work 24/7 to restore water production.